Will Karen master her newfound abilities in time to save her friends? A mysterious monster is terrifying everyone at Lake Lovell when ten-year-old Karen Kimball arrives at swim camp. Karen discovers secrets of the lake as she develops her abilities to see and hear things others can't... talking with animals and spirits, affecting other peoples' thoughts, and flying to hidden places. Will Karen master her newfound abilities in time to save the camp and her friends? 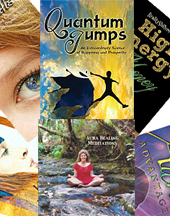 "Fun, exciting, fast-paced... an excellent introduction for any teen or preteen interested in learning more about opening to psychic ability." "Combines the mystery of a Nancy Drew with the metaphysical derring-do of a Harry Potter book -- all into one. And it succeeds." 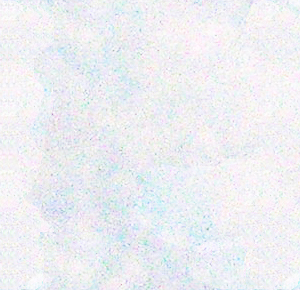 "Ever wonder what it would be like to have your extraordinary senses lovingly nurtured when you were at a young age, and not yet convinced that "the world is only what you can see"? Karen Kimball, 10 year-old mystic-in-training, finds this type of nurturing at swim camp, one seemingly ordinary summer. Within a few weeks, she discovers how to communicate with her favorite pet, some very adult-like beliefs about the nature of social relationships, and how to encourage herself through fearful situations. My 8 year-old son describes it as a magical book and, I must say, I have already mapped out the route my copy will make among my friends. The author has woven realistic childlike thinking with "deep thoughts," in an easy to read book for children of all ages." "What a wonderful book! As far as I am concerned, there's nothing quite like a good story well told. 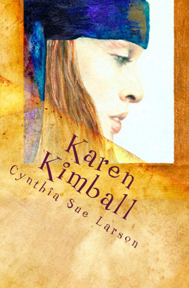 In Karen Kimball & the Dream Weaver's Web, Cynthia Sue Larson has given us just that. Karen Kimball is the protagonist in a story that explores the psychic and emotional tensions experienced by young people as they begin their transition from childhood to young adulthood. Larson's book opens with the less than joyful home life of Karen Kimball -- a young girl surrounded by two self-absorbed brothers, a conflicted father and a mother trapped between all sides. We follow Karen as she travels from what promises to be a mundane summer at swim camp to her transformation into a person who is more in-tune with her immediate environment, and indeed the universe, than she ever might have imagined. As Karen Kimball's awareness blossoms, she has one foot in the three-dimensional world we all inhabit and another foot in a place where time and space are but two of the many facets of existence that she will come to understand. The message behind Karen Kimball and the Dream Weaver's Web is the need for us to trust openly and to love fearlessly while seeking out all that is available to us. This is a truly uplifting story that lends itself very well to the coming-of-age genre of young adult fiction. It is quite easy for the reader to envision our young protagonist moving through many, many other adventures in subsequent volumes of a Karen Kimball series. I can also easily envision a made-for-TV after school special that tells this excellent tale. Both of my daughters and I look forward anxiously to the next release!" "Karen Kimball & the Dream Weaver's Web is an amazing little book, a primer on spirit, magic, and human potential woven into a many-layered mystery story about a ten year old girl--the very age when so many women later in life remember that they gave up their life dreams. Astral travel, spirit friends and foes, indigenous knowledge, telepathic communication--most children hide and then, to their peril, forget such gifts and potentials and so distort their lives. Instead, this heroine not only discovers but develops these abilities and puts them to use to solve everyday problems and even save lives. The special insight the book brings is the naturalness and appropriateness of integrating these skill sets along with more generally recognized skills such as swimming, making friends, and resolving conflict. The description of the dream weaver's web alone is worth the price of the book! I wish I had read this book when I was ten years old, but I'm glad to have found it now. We are more than we know, and children deserve the validation of their lives and experiences that this book offers." "This is the best book I've ever read! Would you like a specially autographed copy of KAREN KIMBALL?